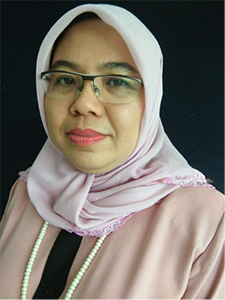 Sarena Abdullah is a senior lecturer in the School of the Arts at the Universiti Sains Malaysia in Penang, where she teaches art history to undergraduate and graduate students. She received an MA in art history from the University at Buffalo, State University of New York, and a PhD in art history from the University of Sydney in Australia. Specializing in contemporary Malaysian art with a larger interest in Southeast Asian art, Abdullah has published widely locally and abroad, and has presented papers at many international conferences. She was a field leader for Ambitious Alignments: New Histories of Southeast Asian Art, a research project led by the Power Institute Foundation for Art and Visual Culture at the University of Sydney and funded by the Getty Foundation in 2015. With a research grant from the Universiti Sains Malaysia, Abdullah is currently working on a project called “Theorizing Early Modernism and Cosmopolitanism in Early Twentieth-Century Penang by Examining Modern Artistic Works and Print Medium Pertaining to Penang (1826–1942),” and her forthcoming book Postmodernism in Malaysian Art will be published in early 2017. She participated in the CAA-Getty International Program in 2016. 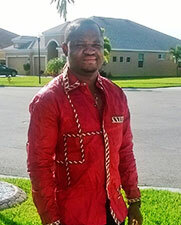 Abiodun Akande studied fine arts at the Obafemi Awolowo University, Ile Ife, Nigeria, and received an MA and PhD from the Institute of African Studies at the University of Ibadan, Nigeria. 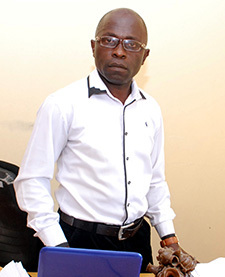 He is a chief lecturer at the Emmanuel Alayande College of Education, Oyo, Nigeria, where he teaches art history, museology, art education, and painting. Akande has participated in a number of international conferences, including the first Basel Summer School in African Studies at the University of Basel, Switzerland, and the Graduate Symposium of the School of Arts at Peking University, China. He publishes in local and international journals, and his research interests span the diffusion history of populations and their material cultures across national boundaries as well as their transient and extant iconographic mutations. He participated in the CAA-Getty International Program in 2016. 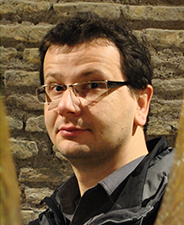 Laris Borić is an assistant professor and chair in the Department of the History of Art, University of Zadar, Croatia, where he teaches early modern art and architecture in Europe and Croatia in particular. His scholarly interests and publications are focused primarily on questions of permeation influences in artistic and architectural production, especially sculpture and architecture, in towns in the Adriatic rim from the fifteenth to the seventeenth centuries. He is currently researching projections of individual and collective identities embodied in public and private commissions within early modern Venetian dominion. Borić is also involved in revisions to the art history curricula in Croatian universities, pertaining to definitions for the field and the application of learning outcomes in various levels of art history education. 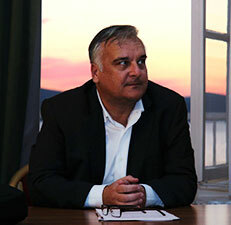 He is currently the editor of the peer-reviewed journal Ars Adriatica. He participated in the CAA-Getty International Program in 2014. 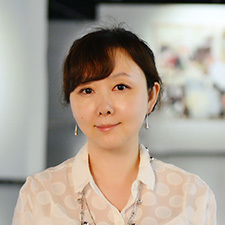 Ding Ning is a professor of art history and theory at Peking University, China. He graduated from Beijing Normal University with a PhD in art theory in 1988. In 1993, he won a fellowship from the British Council to spend a year at the University of Essex, United Kingdom, conducting research in the Department of Art History and Theory. Ding’s Chinese publications include Dimensions of Reception, Psychology of Visual Art, Dimensions of Duration: Toward a Philosophy of Art History, Depth of Art, Fifteen Lectures on Western Art History, Spectrum of Images: Toward a Cultural Dimension of Visual Arts, Understanding Art, and Western Art History. He has also translated extensively, including works by Rudolf Arnheim, Norman Bryson, and David Carrier, among others. Ding participated in the CAA-Getty International Program in 2013. Ljerka Dulibić is a senior research associate and curator of Italian paintings at the Strossmayer Gallery of Old Masters of the Croatian Academy of Sciences and Arts, where she is responsible for the collection of Italian paintings. Her main research interests are fourteenth- through eighteenth-century Italian painting and the history of art collecting. 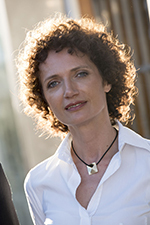 The recipient of several grants and fellowships, most recently at the Villa I Tatti–The Harvard Center for Italian Renaissance Studies in 2015 and the RSA/Kress Travel Grant in 2016, she has coauthored several books and published journal articles and conference papers in Croatia and abroad. Currently, she is the principal investigator for Croatia in the transnational collaborative research project Transfer of Cultural Objects in the Alpe Adria Region in the 20th Century (TransCultAA), funded by the joint research program HERA (Humanities in the European Research Area). She participated in the CAA-Getty International Program in 2015. Davor Džalto is an associate professor and program director for art history and religious studies at the American University of Rome and president of the Institute for the Study of Culture and Christianity, Belgrade. He received his PhD from the University of Freiburg, Germany. His fields of research include the history and theory of modern art, the theory of creativity, religious philosophy, and political theology. He has authored and edited ten books and published over sixty scholarly articles and essays. Džalto is also an artist, working in the media of paintings, objects, installations, performances, and video art. He has exhibited in numerous solo and group exhibitions in Europe, Asia, and the United Sates. He participated in the CAA-Getty International Program in 2013. 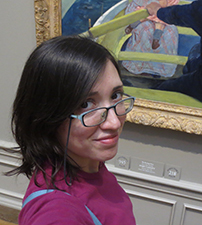 Georgina G. Gluzman is an assistant professor of art history and gender studies at the Universidad de San Andrés in Buenos Aires, Argentina, and a CONICET Postdoctoral Fellow. She received her PhD in art history from the Universidad de Buenos Aires in 2015, having previously received an undergraduate degree in art history at the same university. Gluzman’s work focuses on the art of nineteenth- and early twentieth-century Argentine women artists. Her research has been supported by the Getty Foundation and the Institut national d’histoire de l’art. She is a member of the board of the Centro Argentino de Investigadores de Arte, where she also serves as treasurer. Gluzman is the author of Trazos invisibles: Mujeres artistas en Buenos Aires (1890–1923) (Buenos Aires: Biblos, 2016). She participated in the CAA-Getty International Program in 2015. Rosa Gabriella de Castro Gonçalves is an associate professor of art theory and aesthetics at the Universidade Federal da Bahia, Brazil. 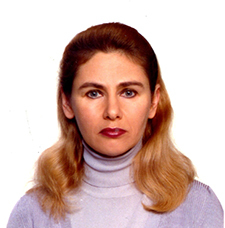 Gonçalves studied at the University of São Paulo, where she received a PhD in philosophy with a thesis on Immanuel Kant, Clement Greenberg, and formalism in visual arts. In 2011, she was a visiting scholar in the Department of Art and Art History at Stanford University. In 2013, she was awarded a Getty Library Research Grant and developed a project about the Greenberg Papers in the special collections of the Getty Research Institute. Her main research interests include modernism, modern art, and criticism in the 1960s and 1970s. She participated in the CAA-Getty International Program in 2012. Richard Gregor is a historian, curator, and art critic who studied at the University of Trnava, Slovak Republic, and Charles University in Prague. He has worked as chief curator at Nitra Gallery and Bratislava City Gallery, lectured in the Department of Art Theory and History at the Academy of Arts in Banská Bystrica, and served as a consultant at the Ministry of Culture of the Slovak Republic. Founder of the journals Dart (1999) and Jazdec / Rider (2009), Gregor also created the web-archive www.artdispecing.sk. A former president of the Council of Slovak Galleries, in 2013 he served as the vice president of the Slovak Section of the International Association of Art Critics (AICA) and coauthored and co-organized the XLVI AICA International Congress in Slovakia. Gregor has curated more than thirty exhibitions at home and abroad, and received grants to conduct research in the United States, Austria, the United Kingdom, Denmark, Germany, and Israel. His book Haberernová’s Eye: Post-Informal Figuration in Slovak Visual Art of the 1960s was published in 2013. Between 2014 and 2016, Gregor worked as the director and chief curator at Dom umenia/Kunsthalle Bratislava. He is currently a PhD candidate at Trnava University. He participated in the CAA -Getty International Program in 2013. 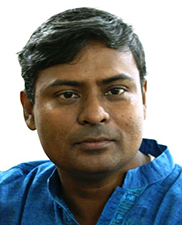 AKM Khademul Haque is an associate professor of Islamic art and architecture in the Department of Islamic History and Culture at the University of Dhaka, Bangladesh, where he also serves as an adjunct faculty member in the Department of Oriental Art. In addition to a focus on the art history of Bengal and India, he researches the international development of Islamic art and architecture. In 2007, Haque was awarded the Hamad bin Khalifa Fellowship to attend the Second Biennial Conference on Islamic Art at the Virginia Commonwealth University in Qatar. In 2010, he received the Indranee Roy Memorial Award for presenting the best paper in the 26th Annual Conference of Paschimvanga Itihasa Samsad (West Bengal History Association), held at the University of Calcutta, Kolkata, India. He participated in the CAA-Getty International Program in 2013. Hugues Heuman Tchana is a junior lecturer in the Department of Fine Arts and Heritage Sciences at the Higher Institute of the Sahel, University of Maroua, Cameroon, where he teaches courses in museology, the history and philosophy of African art and culture, research methodologies, and the history of global art. In addition to researching symbolism in African art, he studies museums of chiefdom art, exploring why and to what purpose collections have been formed in the Grassfields region of Cameroon over the past decade. He participated in the CAA-Getty International Program in 2014. Irena Kossowska is a professor of art history at the Nicolaus Copernicus University in Torún and the Institute of Art of the Polish Academy of Sciences in Warsaw. She graduated from Warsaw University and earned a PhD at the Institute of Art, Polish Academy of Sciences. A specialist in the fields of nineteenth- and twentieth-century visual arts, art theory, and criticism in Europe and the United States, she is the recipient of numerous awards and fellowships, including the Center for Advanced Study in the Visual Arts (Washington D.C.), the Bogliasco Research Center (Genoa, Italy), National Humanities Center (Research Triangle Park, North Carolina), Institut national d’histoire de l’art (Paris), Henry Moore Institute (Leeds, UK), Finnish Academy of Sciences, Royal Swedish Academy of Letters, History, and Antiquities, British Academy, Norwegian Academy of Sciences and Letters, and the Smithsonian Institution (Washington D.C.). Recent publications include The Search for Cultural Identity in Eastern and Central Europe 1919–2014 (2015); Symbolism and Young Poland (2010); and Reinterpreting the Past: Traditionalist Artistic Trends in Central and Eastern Europe of the 1920s and 1930s (2010). She participated in the CAA-Getty International Program in 2012. Nazar Kozak is a senior research scholar in the Department of Art Studies in the Ethnology Institute at the National Academy of Sciences of Ukraine. After receiving his PhD from the Lviv Academy of Arts, he spent a year at the University of Athens under the auspices of the State Scholarships Foundation. 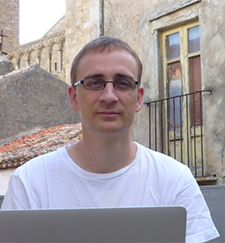 A recipient of research and publication grants from the American Council of Learned Societies, Kozak also earned a fellowship from the Austrian Agency for International Mobility (OeAD). 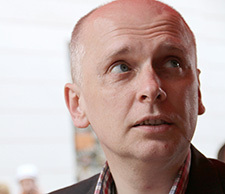 Since 2001, he has taught art history at the Ivan Franko National University of Lviv. Currently a Fulbright scholar at the Ukrainian Museum in New York, his research focuses on post-Byzantine iconography and contemporary activist art. He participated in the CAA-Getty International Program in 2015. Portia Malatjie is pursuing a PhD in visual culture at Goldsmiths, University of London. She received an MA in the history of art (2011) and a BA in fine arts (2008) from the University of the Witwatersrand in Johannesburg, South Africa. From 2012 to 2013, she taught the history of art and visual culture at Rhodes University. She has also guest lectured at the University of Cape Town and Stellenbosch University. 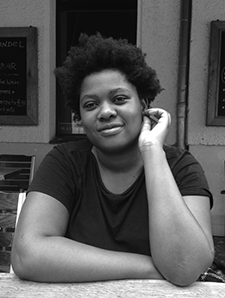 Malatjie has published extensively in international peer-reviewed journals and exhibition catalogues, including Public Intimacy: Art and Other Ordinary Acts in South Africa (San Francisco: Yerba Buena Center for the Arts, 2014) and Third Text. Malatjie was the head curator of Brundyn+ Gallery (2014–15) and director of the AVA Gallery (2015). She has curated exhibitions featuring works by Nick Cave, William Kentridge, Kemang Wa Lehulere, and John Akomfrah. In 2012, Malatjie was a guest curator for the MTN New Contemporaries Award. She was awarded the Robert Hodgins Award in 2007 and served as a board member of the Visual Arts Task Team for the Visual Arts Network of South Africa (VANSA) and the Iziko South African National Gallery. Her research interests include fantastical narratives, hauntology, and the black radical tradition. Malatjie participated in the CAA-Getty International Program in 2014. 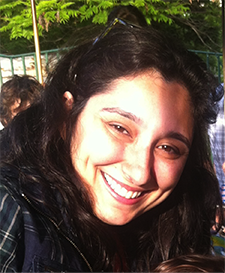 Ana Mannarino is an assistant professor of Brazilian art history at the Federal University of Rio de Janeiro, Brazil. She received her PhD in the history of art and visual arts from the same university and participated in a year-long collaborative study program at the Université Sorbonne Nouvelle–Paris 3. Her doctoral thesis, “Word in Brazilian Art: Mira Schendel and Waltercio Caldas,” focused on the relationship between text and image in Brazilian contemporary art, especially in the work of those two artists. 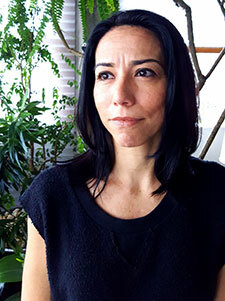 Her research also considers the connections between art and poetry in Brazil, concrete and neoconcrete art, and the production of artists’ books. Mannarino participated in the CAA-Getty International Program in 2015. Parul Dave Mukherji is a professor at the School of Arts and Aesthetics, Jawaharlal Nehru University, New Delhi, India. She holds a PhD from Oxford University. Recent publications include articles in Democratic Culture: Historical and Philosophical Essays (New Delhi: Routledge, 2011); Art History in the Wake of the Global Turn (Williamstown, MA: Sterling and Francine Clark Art Institute, 2014); and The Art Bulletin (June 2014). Dave Mukherji coedited InFlux: Contemporary Art in Asia (New Delhi: Sage, 2013) and the Association of Social Anthropologists (ASA) volume Arts and Aesthetics in a Globalizing World (London: Bloomsbury Academic, 2014). She is the recipient of a number of awards and fellowships, including the British Academy award (2011); a Baden-Württemberg fellowship, South Asia Institute, Heidelberg University, Germany (2013); a Clark Art Institute fellowship, Williamstown, Massachusetts (2014); and a Kunsthistorische Institut fellowship, Florence (2016). She participated in the CAA-Getty International Program in 2013. 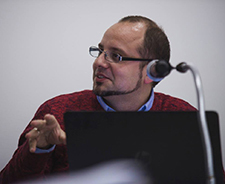 Cristian Nae is an associate professor at George Enescu National University of the Arts in Iasi, Romania, where he teaches critical theory, curatorial and exhibition studies, art-historical methodologies, and contemporary art history. His research focuses on exhibition studies, aesthetics, and contemporary art history in Central and Eastern Europe after the 1960s. He has received research grants and fellowships from the Erste Foundation, Vienna; the Getty Foundation, Los Angeles; the New Europe College Institute for Advanced Studies, Bucharest; and CNCS-UEFISCDI (Romanian National Research Council). An active writer of art criticism, Nae is a member of the International Association of Art Critics (AICA). His studies have appeared in journals and books published by Routledge, Hatje Cantz, Cambridge Scholars, Verlag fur Moderne Kunst, and Peter Lang Verlag, among others. He participated in the CAA-Getty International Program in 2012. 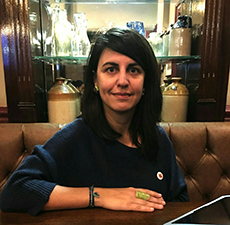 Ceren Özpınar is currently a British Academy Newton International Fellow in the Department of Art History at the University of Sussex, England. She received a PhD in the history of art from Istanbul Technical University in 2015. Her thesis, Art Historiography in Turkey, published by the History Foundation Yurt Publishers in 2016, presents a critical analysis of histories of modern and contemporary Turkish art from 1970 to 2010. Her postdoctoral research builds on her PhD and provides both a critical approach and a new narrative for feminist art and its histories in Turkey. Ozpinar was a research fellow at the University of Leeds during the 2013/2014 academic year. Her teaching interests have focused on questions of feminism, nationalism, and discourse in art, as well as histories of modern and contemporary art in the Middle East and North Africa. 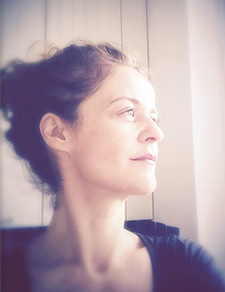 Özpınar participated in the CAA-Getty International Program in 2016. 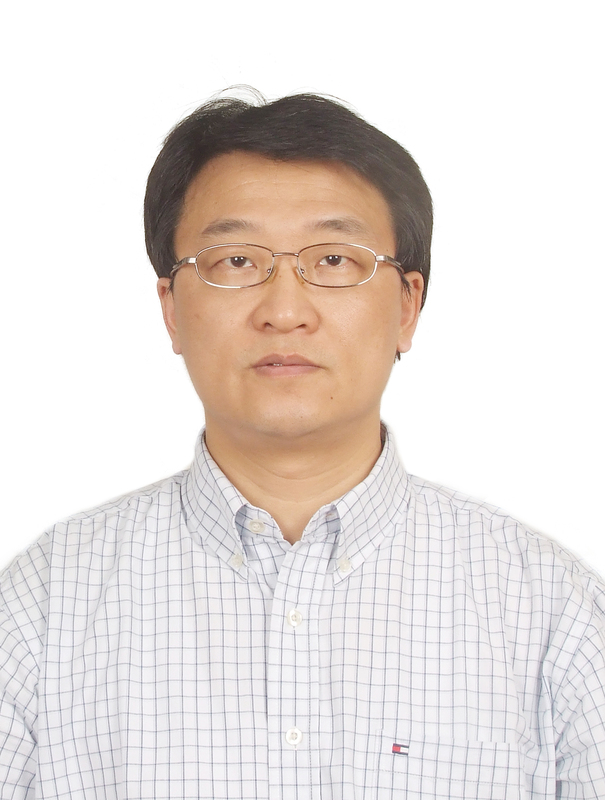 Shao Yiyang is a professor of art history and theory and deputy dean of the School of Humanities at Central Academy of Fine Art, Beijing. She received her PhD in art history and theory in 2003 at the University of Sydney, Australia. Her teaching and research focuses on Western art history, theory, and Chinese modern and contemporary art. She has published widely on art history and theory including Art after Postmodernism, Beyond Postmodernism, and Modern European Art History Since the Seventeenth Century, all published in Chinese by Peking University. She recently published an article “Whither Art History” in the June 2016 issue of the The Art Bulletin. Shao Yiyang presented papers on Chinese modern art at the 32nd Congress of the Comitté International d’Histoire de l’Art (CIHA) in Melbourne in 2008, the 33rd CIHA Congress in Nuremburg in 2012, and the 29th art history conference organized by Verband Deutscher Kunsthistoriker (Association of German Art Historians) in Regensburg in 2007. She was a participant of the CAA-Getty International Program in 2015. Sandra Uskokovic, a scholar of modern and contemporary Central and Eastern European art, is an assistant professor at the University of Dubrovnik, Croatia. She holds an MA from George Washington University and a PhD from the University of Zagreb, Croatia. She has received research fellowships from the International Centre for the Study of the Preservation and Restoration of Cultural Property (ICCROM), UNESCO, and the U.S.National Committee of the International Council on Monuments and Sites (US/ICOMOS). Uskokovic has published three books: Modern Architectural Heritage of Dubrovnik (Zagreb: Antibarbarus, 2010), Contemporary Design in Historic Settings (Zagreb: Antibarbarus, 2013), and Sensibility in Modern Croatian Architecture, of Space Design (Zagreb: Ex Libris, 2015). Her new book, Art Dialogues in Public Space, will be published in 2017. 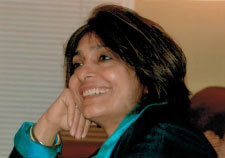 She also has written and published numerous conference papers and research articles in her home country and abroad. A visiting scholar at universities in Europe, Asia, and Canada, her research interests include art criticism, architecture, cultural heritage, modern and contemporary art, urban and cultural theory, and performative arts. She participated in the CAA-Getty International Program in 2016.